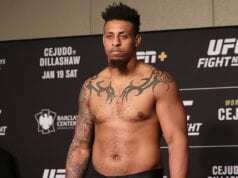 Greg Hardy reacts to criticism from fight fans regarding his UFC debut at the UFC Brooklyn event. 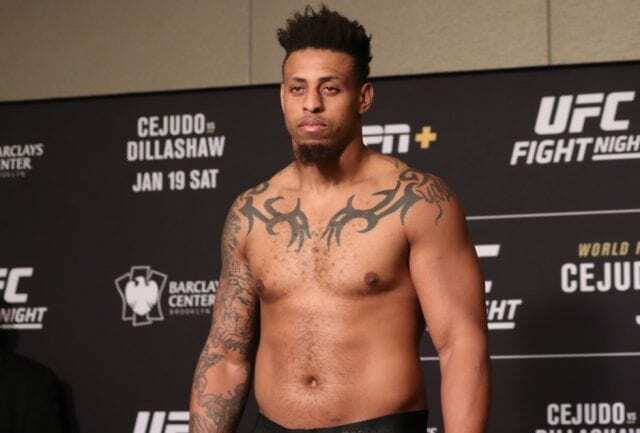 Hardy hit Allen Crowder with an illegal knee strike to the head that ended his promotional debut in the co-headliner. The UFC on ESPN+ 1 event down at Barclays Center in Brooklyn, New York. Up to this point, he was under a rare developmental contract where the UFC is paying him to fight in the minor leagues. While doing a recent interview, Hardy opened up on the harsh comments from people getting to him. Thus, he admitted that it had been affecting him. When it comes to the elephant in the room, the former NFL star claimed that it really was a timing issue and didn’t do it on purpose.